We always have a need for fosterers in a spare room, or if you are happy to do so and don't have any animals of your own, in the whole of your house. All equipment is provided plus support and information, including occasional access to training courses run by Cats Protection. As a fosterer there would be no cost to yourself. All we ask is that you provide somewhere that the cat (or cats) can feel safe and warm. We provide food, litter, toys, bedding, etc. and all you need to do is give love and affection for the cat(s) in your care! Depending on the age of the cat(s), they could be with you for as little as a couple of weeks, or if an older or harder to home cat, for 4 months or more. It is very important that any cats being fostered are always kept indoors with a litter tray away from any pets of your own. Having brought them into our care it is important that they do not stray again nor get injured or pick up any infections, thus costing us more money. 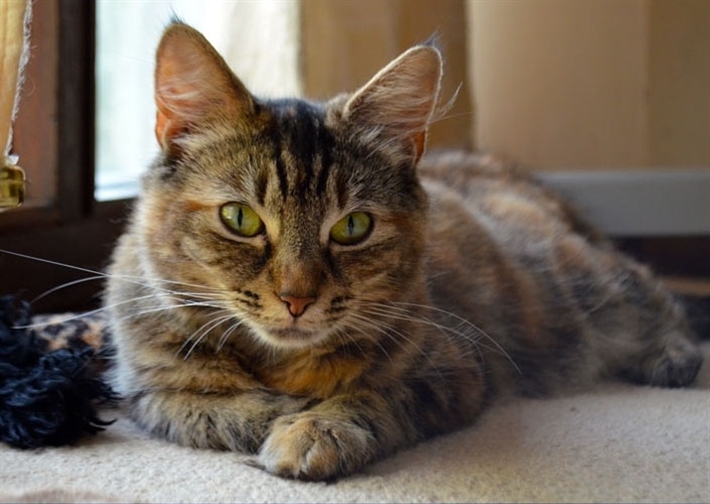 When we have someone interested in adopting the cat that is being fostered with you we usually visit them first to ensure they are suitable to adopt from us and will then arrange for them to contact you to arrange to visit your home to meet the cat and if both like each other then we complete the adoption process, including paperwork. At this stage, the cat will go to its forever home. If you are happy to continue fostering we will bring another cat in need along to you and the process begins again. Additionally, we are looking for someone to pick up cats from fosterer's homes to take them to vet appointments (for vaccinations, health checks, neutering, etc) and then return the cats to the fosterer's home. On a mundane level, we need someone to do some washing for us! We get through a number of towels or bedding for cats and this needs regular cleaning. Additionally, we have a number of tablecloths which are used for fundraising events and these often get grubby after an event. Of course, we are also looking for dynamic people to help at the fundraising events. Could you spare a few hours to help us raise funds to care for the cats in our care? We now have our fundraising mascot, Hattie (take a look at our feature pages for more information). We need enthusiastic volunteers to wear the costume at our fundraising events. We do not expect people to wear this for long periods, perhaps an hour or two. Is this something that you feel you could do? Volunteering will cost you nothing but love, care and a little spare time but will provide you with an awareness of cat welfare needs so please contact us by clicking on the Contact Us tab and filling in your details, email us on info@welwynhatfield.cats.org.uk or call us on 0345 371 1855.